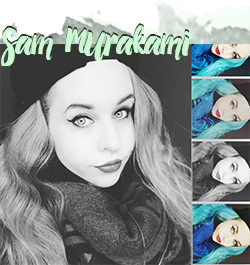 I finally have more than one day off from work so I'm trying to catch up with this blog thing and my social life! It feels absolutely great to not have any responsibilities left when I have a day off (not when I had to use every free day to write my thesis, y'know..) and I can just lay in bed until 1pm if I wish to do so. GRADUATING IS GREAT. Great has also been my first ever Wishtrend order! Quite some time ago, I was given the Papa Recipe AHA Gel from my friend Moi Sanom who loved it and thought it could work for me (since my skin hated all the other ones I've tried so far) and what can I say: I absolutely fell in love with this! So much, that I ordered myself a new bottle, even though the one she gave me lasted me a good 2 months or even more. 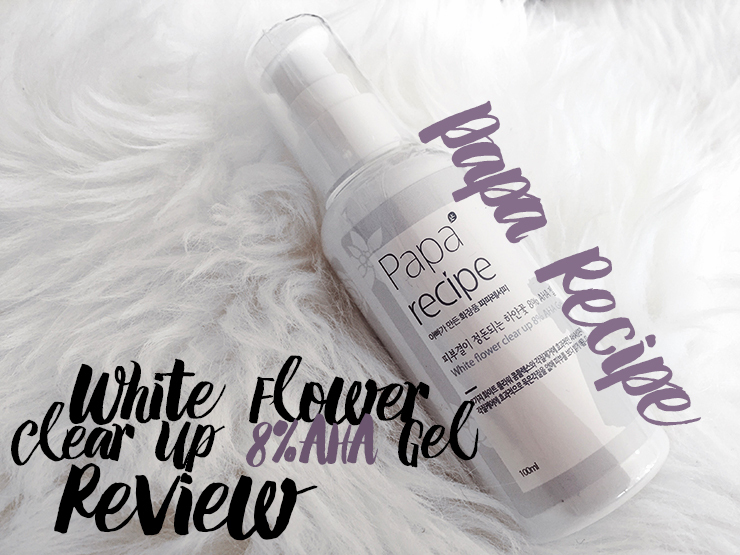 I had to wait for the new bottle to arrive so that I could take decent pictures so I am super excited to finally share the review on the Papa Recipe White Flower Clear Up 8% AHA Gel with you today! Even though I have used products from Wishtrend before, I actually have never placed an order myself: I usually shared the order with friends who already had an account and would order stuff for me and split the shipping cost. I finally got around in creating an account myself and get some precious items to my doorstep. I'll be frank, I was just super paranoid I would run out of the Papa Recipe AHA with no other alternative at hand. Effectively brighten and moisturize your skin today ! + Great for Sensitive skin. + Natural skin whitening product. + Part of the White Flower skin whitening facial product line. Water, Glycolic Acid, Potassium Hydroxide, Glycerin, Butylene Glycol, Niacinamide, Lactic Acid, Nelumbium Speciosum Flower Extract, Iris Versicolor Extract, Leontopodium Alpinum Extract, Lilium Candidum Flower Extract, Jasminum Officinale Flower Extract, Freesia Refracta Extract, Rosa Centifolia Flower Extract, Chamomilla Recutita Extract, Allantoin, Aloe Barbadensis Leaf Juice Powder, Dipotassium Glycyrrhizate, Centella Asiatica Extract, Sodium Hyaluronate, Glyceryl Caprylate, Hydroxyethylcellulose, PEG-60 Hydrogenated Castor Oil. Man, look at that ingredients list. There are almost no fillers present, it's basically Water, Glycerin, Glycolic + Lactic Acid and a bunch of flower extracts. The only irritant in there is Butylene Glycol, which has the weakest score on being an irritant for acne (1) and is present in almost any skincare product. No wonder this stuff works so well for me with those kind of ingredients! While Wishtrend comments on the pH-level being 7, my own pH-testing resulted somewhere in between 4-5 (I only have crappy pH-level paper so it has to suffice until I get more accurate ones.) Don't take my word for it, but judging from my experience and the before and after pictures this stuff definitely works, whatever its exact pH may be. ....you know you love a product when you're willing to go full partner-style with your nail polish. The packaging itself is rather bland; a plastic pump bottle in white with some grey accents. There is really nothing fancy about it and the packaging is exactly the same as the usual Tosowoong essence bottles. I do love that it's in a pump (although it doesn't reach quite everything; I had to screw the cap off for the last 2-3 weeks as there was quite a bit of product left on the bottom) and that it contains 150ml of exfoliating goodness! Seriously, that stuff goes a really long way. Moi Sanom used her bottle for almost a year when she gave the last bits to me - there wasn't really much left in the bottle (maybe like 10-15%?) however, I was able to use it for 2 months straight. Yep. You'll be getting quite a bit for your money here. This is what one pump looks like. It's definitely enough to cover your whole face with it. Although this says 8% AHA Gel on the packaging, the texture is very runny, almost more a liquid than a gel. I really like the texture as it's easy to spread on the face, but not too runny so that you'll have to be afraid it will run down your arms before it reaches your face (looking at you, much beloved COSRX A-Sol!) But what I love the most about this is the scent: It just doesn't really have any. I absolutely hated the chemical smell of Mizon and COSRX' AHA formulas but this one doesn't smell really of anything: A pleasure to use for someone with a finnicky nose like I have. I can't even put in words how much I love this stuff: It's the first big moment of my skincare journey since I discovered the COSRX A-Sol for me. Yep, that's some pretty big shoes to step in. The first thing I noticed was how soft my skin felt when I showered in the morning. My skin used to feel pretty bumpy and rough because of the acne but pretty much instantly when I started to use this, my face became more smooth in texture. There are approximately 3 months between the pictures, the right one taken yesterday morning. However, the second revelation should be even better: Even though I carefully planned my Wishtrend order, I did run out of the Papa Recipe at some point and guess what? My skin freaked out. When I was using this AHA, my skin was as trouble-free as it had never been the past 3 years. My skin was basically clear after some time (even though it never looks clear because of all the hyperpigmentation, sigh.) but when I didn't use it anymore, guess what? My skin was not amused and plotted revenge in the form of giant inflamed zits. It was painful and I started panicking because my skin had been behaving so good these past weeks! However, as soon as I was able to incorporate this into my routine again, all was good and my skin returned to its calm and happy state. 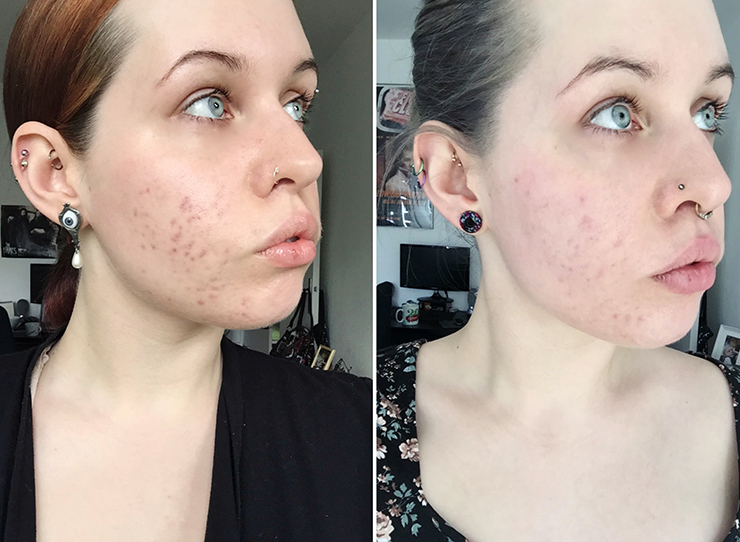 If you look at the pictures (the left one was probably taken in June or July) the evidence on my fading hyperpigmentation is really strong. I think I've found my holy grail AHA of all time! What I love about this exfoliator is that it is so gentle and non-drying. I often forget that I used my AHA and remember one or even two hours later that I need to resume with my skincare regimen. 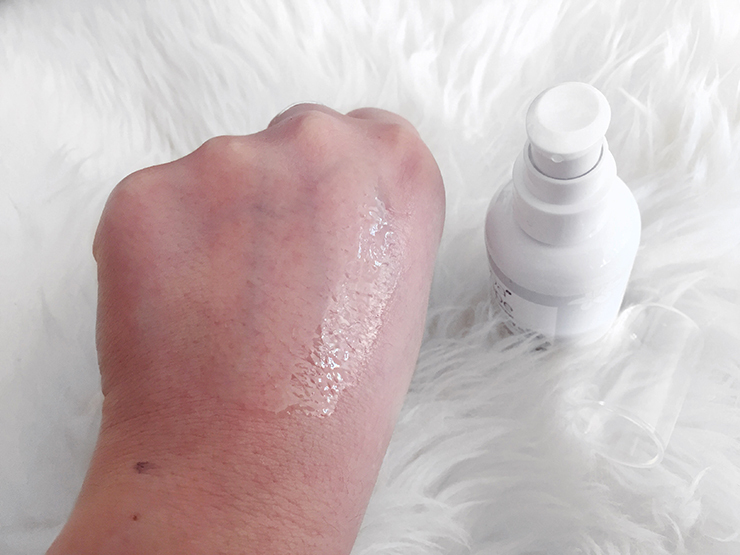 With Mizon and COSRX, my skin often felt uncomfortable and even incredibly itchy (in Mizon's case) so I was very pleased with how gentle this is. It doesn't sting upon application, only if you have some open wounds in your face, like an open pimple (but even then, it's very tolerable).To be honest, I don't have anything bad to say about this, I will very likely repurchase this as long as it's in production and make sure I always have a back-up lying around somewhere. The Papa Recipe White Flower Clear Up 8% AHA Gel is available on Wishtrend for 17,20$. You can use the current October coupons WISHOCT2015 to get 10% OFF your orders that are $55+ and WISHGIFT2015OCT to receive one free Skinmiso handy cleansing kit on any order! Disclosure: This post contains affiliate links. Shopping by those links means that colorcrrush receives a small commission, which helps to support this blog - see my full disclosure and review policy here. This is not a sponsored post, all items have been purchased by me and my opinions are completely my own.